This activity will enable you to ask yourself about the different future practices or actions that you will do in teaching. You may not have done it yet, but if you become a teacher what do would be your response to each item? Your answers will identify what your philosophy of education is all about. 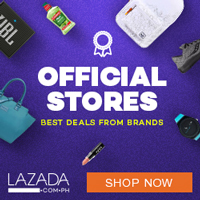 Answer each item in the Survey Questionnaire very honestly. There is no right nor wrong answer for each item. After you have answered each item, record your answers and look at the interpretation at the back of this work text. After you have answered the questionnaire yourself, you are to ask two teachers to do the same activity. Photocopy two copies of this instrument. Request two teachers to answer the remaining questionnaire. Tabulate all the answers in the Matrix provided. Now that you have responded to all 40 times, write the number of the response to each statement in the matrix below. Add the numbers in each column to determine your attitude and those of the two teachers toward key educational philosophies. Among the three of you, who is more inclined to be an essentialist, perennialist, progressivist, essentialist or behaviourist? I and the teacher number 1 are the one who are inclined to be more essentialists. Teacher number 2 is the one who is incline to be more perennialists. Teacher number 1 is the one who got the total of 30 is incline to be more progressivist. I got a point of 24 which indicated that I am inclining to be an essentialist. Teacher number 1 got the highest with 25 as the total score which indicates that she is inclined to be a behaviourist teacher. Visit a teacher in a school and observe what school/classroom activities reflect his/her philosophy of education while she is teaching. Identify and describe teacher’s action or behaviour and match each with the identified educational philosophy. The teacher that I could possibly site as an example in this philosophy was Ms. Rash. She is a Math teacher that applies more on examples that the students complied to answer in regards with their understanding on the subject matter. Her tactics is, after discussing the lesson, she would then write some problems at the board and later on the discussion she would call a student to answer the problem and make them explain it in front of their classmates. She is somehow trying to in calculate a critical thinking of ability in them. I could not totally make a 100% assumption, but the way I view it, the principal at AKIC-SLS was an example of a teacher that hold out this kind of philosophy of teaching in her. During our days of observation, I did notice that Ma’am would always state a certain students who excel in the whole high school department and uplifts their particular achievements, as well as their capabilities in us. She was very proud making some of her students to experience a change of environment through sending some of them in the United States of America as exchange students. Based on your concrete experience and the actions of the teacher you have observed, how important is your philosophy of education to your future career as a teacher? How would your experiences and observations contribute to your becoming a teacher? 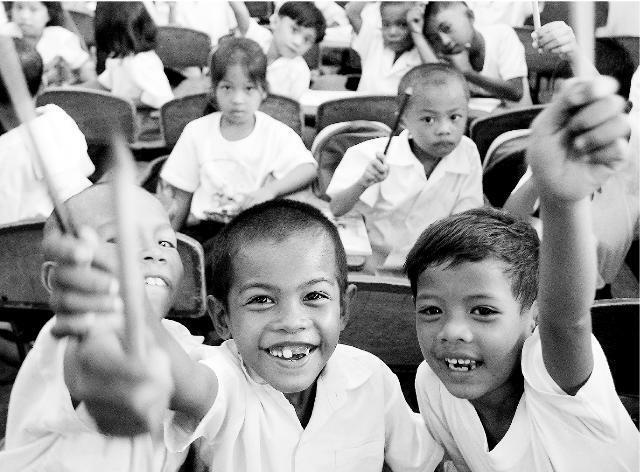 In order to become a teacher with a vocation and mission to change something within the society. I could say, I need to do a lot of things in order to reach the part where I can confidently provide my students of those things they needed, and through experience I could possibly relate more, see more in them the kind of philosophy that could be more applicable in a certain set of students that would fit. Philosophy is very important as a guide in providing a student’s a quality of learning. Teachers needed to consider the individual differences of her/his students and used the best method for them to learn, choosing a certain philosophy might direct them and motivate them to learn more on the subject matter that you would choose for them. The teachers’ priority is the teaching method and strategies that befitting for her/his students, because we are preparing them to face the reality of the world. Identify at least three concepts learned in your previous subject like “The Teaching Profession which are related to the Experiential Learning Episode 3 (Teaching Belief/Philosophy) that are confirmed or affirmed in this activity? Enumerate. 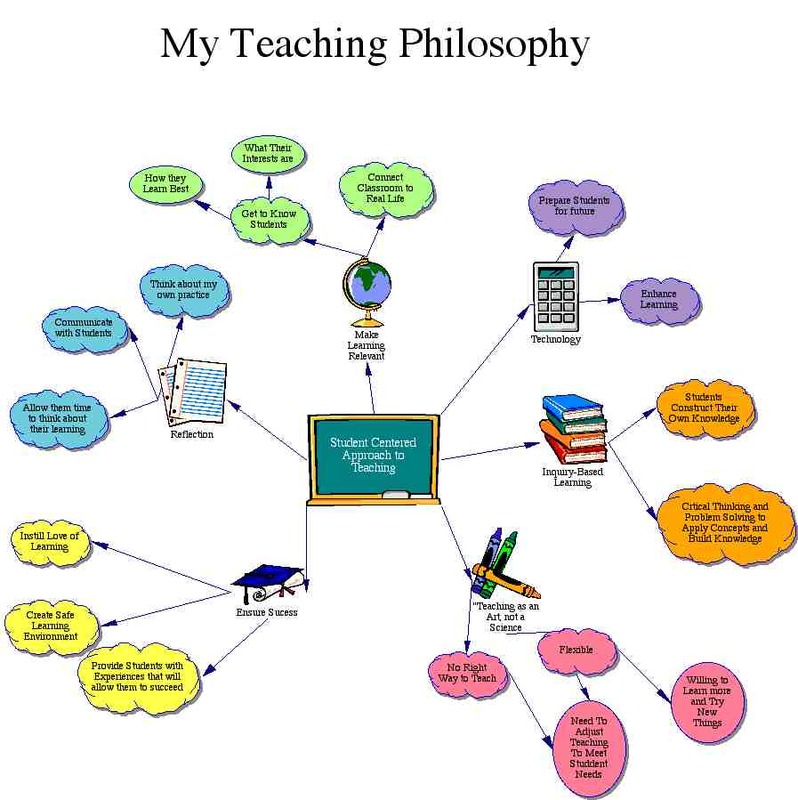 That the teachers are following a certain philosophies which I believed before that teaching was something you teach kids without any of these, and now it was affirmed to me that using philosophy in teaching is a requirements to be a good teacher. It was affirmed to me that that the school we are observing, the teacher specifically was using a certain philosophy. One person that I affirmed who uses a progressivist was Ms. Rashidah R. Rashid, who is a Math Teacher and a graduate of education, who could totally understand what are the type of philosophy she’s going to use in applying her teaching. Since she is math teacher, she was using that mentioned philosophy in her kids since it is implying the attitude of living NOW. Her teaching is by living at the PRESENT! In the surveyed questionnaire that was given to a two teachers and for me to answers, it was affirmed that everyone is entitled with their own opinion of a certain subject matter. After collecting the data, these three persons results a different sum total, which shows what kind of philosophy they are inclined to be. From different point of views in this subject matter, it can easily be seen that each of us can bring different philosophy to the students, that could possibly a causes of our own believe and idea on a certain situation. This makes every individual to be more unique. Using the first hand experiences in this activity, how will I use these when I become a teacher in the future? In teaching learning teacher needs to consider mostly what their students do need in relation to their subject matters. The application of your teaching and how you present them to a set of learners affect their interest. You have to be keener on how you will deliver as their learning is the priorities among others in education. In addressing diversity learners a teacher need to adopt and choose the kind of philosophy that is more applicable in a certain group of learners. In creating a conducive learning environment you have to look on the environment of the students. If a teacher realizes that the kinds of environment is not suitable for her learners and the methods she is using, then its time for her/him to look on the alternatives to make some changes. In regards to teaching, the teacher needs to look carefully on the “how to teach” of a certain philosophy in order to integrate it with the current environment they have. This post is based on my field study that I did conduct last three months for the year 2014. You may seem not to approve some of this idea, but please correct me if I am wrong. Most of the things contain here were based on my own opinion. I am very welcome to some ideas that you may share on this subject matter. Thank you and hope it will be a help for those people in search for the same studies. As I observe a class, I will use the Observation Sheet for a more focused observation. Assessment is an integral part of the teaching learning process. The Teacher gave out a quiz to her students worth 20 points on Basic Geometry Figure and Angles. Assessment tool/activity should match with performance objective. The tool that was being used by the teacher was an objective test that blends in with the students’ performance. The results of assessment must be fed back to the learners. After the quiz, the teacher let the students check the papers of their fellow classmate, and right after that, was being returned in order for the students to see their score. Teachers must consider learners’ learning styles and multiple intelligences and so must come up with a variety of ways of assessing learning. While the teacher was giving out the answers to the students, she was also asking them orally before she explains them that answer to that certain question. Give some positive feedback along with not so good ones. The teacher gave out a positive feedback to those students who get good grades and advice those students who didn’t do well to study more. Upon seeing the scores of each student themselves, they will now realize if they did study will or not. As for the result of the test, the teacher can identify her teaching if she did will or not. Assessment of learning should never be used as punishment or as disciplinary measure. The Teacher’s test was not for punishment or as a disciplinary one. A verification whether the student study their lesson or not. Emphasize on real world application that favors realistic performances over out-of-context drills. Applicable in the real world, because they will use this basic geometry figures and angles when they go on with their studies and apply it when measuring of shapes are involved. Results of learning assessment must be communicated regularly to parents. The teacher did mention that as much as she is capable of. She is indeed letting their parents know their status on their grades. The teacher gave out their tentative score, and the result of their assignment for them to verify within their self if the student themselves did their best. The teacher used assignment in order to assist if the students were doing their homework, and mostly they did. However, this type of assessment is not guaranteed. The teacher handed out the students’ assignment together with their score, as well as their tentative score from their exams. That time, the teacher handed them down the result of their assignment and exam results. The teacher didn’t give out any feedback to the students’ result. She just gave the result without saying anything. Without the feedback from the teacher, the learners are now the one to assess themselves either they do good or not. The teacher somehow doesn’t apply this harsh assessment for the student. It is more on academically. Since they are in electromagnetic as a topic, they can apply this drill when the students were curious about a certain situation that relates with this topic. The teacher ask the students to hand out a 1/8 sheet of paper with the student’s name on it, in order for her to write their tentative score and give to their respective parents for them to see. The teacher let the student participate in solving problem, making her aware the effectively of her teaching from her students. The teacher used oral recitations in solving the problem in front of the class that coincide with her tools. Some students didn’t do well, coming up with a wrong answer, making that certain student to be aware to study the lesson more. 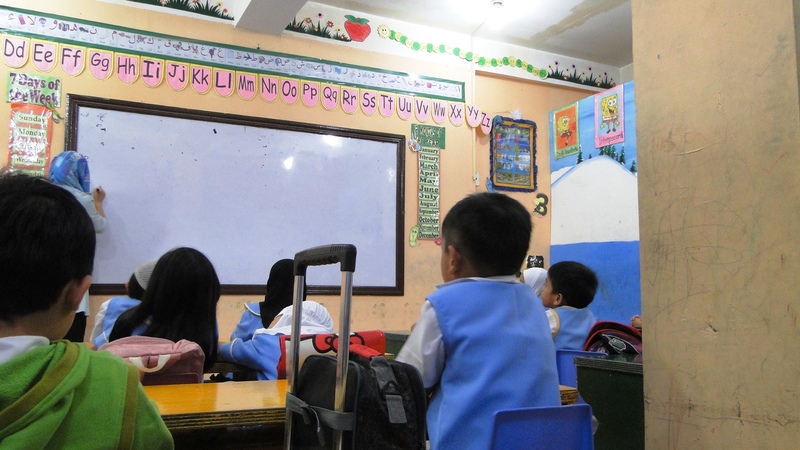 The teacher was driven by her motivation to teach her students, aiming for the student to be more confident and given an ease atmosphere for everyone while answering the problem. The teacher was giving a complement to those students who answered correctly. For those who didn’t do well were given an encouragement to try again from the teacher herself. The learners’ reaction of being participative mood is an indication that they understand the lesson that was being taught to them by her. The teacher didn’t give the solving problem and letting them to discuss it as a form of punishment, but a review for the upcoming exam. The activity was beneficial for the student. They will need this lesson for further lessons, and can be applied in their daily life in a certain situation that needed equation, and not to be ignorant when they pass this kind of topic in some mathematic readings. The teacher give the students’ assignment score, and their result of the examination in order for the kids to show it to their parents. What are the possible consequences on the teaching-learning process if each of the principles are not observed. 1 Assessment is an integral part of the teaching learning process. Teacher won’t know if his/her students are learning well from his/her class. 2 Assessment tool/activity should match with performance objective. The objective of the learning will not meet if the activity/tool didn’t match. The learning objective will be useless, and more confusion for the students. 3 The results of assessment must be fed back to the learners. If this won’t be applied, the learners will assume everything, and therefore there is no room for their realization of doing better in class. 4 Teachers must consider learners’ learning styles and multiple intelligences and so must come up with a variety of ways of assessing learning. It will be unfair for those students who don’t have fast learning skills. Also, students will not develop and enhanced in their respective skills. 5 Give some positive feedback along with not so good ones. If a teacher won’t give a positive feedback the students desire to learn will not raise up. 6 Emphasize on self assessment. If there is no self-assessment, then there is no room for advance learning. 7 Assessment of learning should never be used as punishment or as disciplinary measure. The learners will develop fear in the class; some student will be forced out of their will. Learning is not about coercing! 8 Emphasize on real world application that favors realistic performances over out-of-context drills. The expectation of the student will not meet. Learners definitely wanted to know if this thing will be useful or not, if it is, learning on their part will be excitement. Higher thinking skills will not be enhanced. 9 Results of learning assessment must be communicated regularly to parents. The parent will assume that their child is doing great at their school. No advice that will come out for them for their child and it will be unfair to them. No transparency and accountability to reflect on. 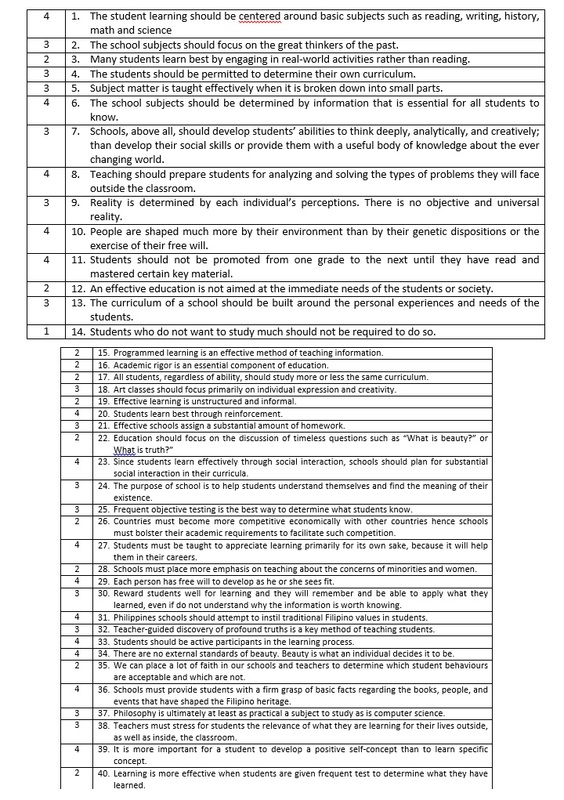 As a student, do I remember any incident when any of these principles was/were violated by my teachers? How did it affect my classmates and me? Present the principles of assessment of learning in a very creative way. A-Assessment is a very important in integral part of learning. S– Substandard way of learning that students aren’t that learning more. E-Equip the students thoroughly in realizing their dreams. S-Students are the holder of the future. S-Self-assessment on their part will increase their thinking, analyzing, and evaluating abilities. M-Maximum awareness for the teacher is highly needed for their learners. E– Ensure that the best tool and knowledge is equipped by the students. N-Note that their interest is the highly concern. T-Teachers are the captain in building their future. O-Observation from the administrator is needed. F-Facts are not always on written words but also through observation. L– Learn to be more appreciative. E-Enhancing the students’ knowledge and skills are valuable. A-Apply the most high caliber teaching for the learners. R-Result of your teaching as a teacher is the future you can see. N-Notice every single mistake you can observe and correct them with most appropriate judgment. N-Never give up on your student! G-Go with being positive, that future will hold a better people! With a lot of reflective thinking coupled with your creativity, you can design hand-outs that will truly work well to make the learning effective. You will see that preparing hand-outs is not just any paper work. When you produce high quality hand-outs and eventually try them out, you will discover that, indeed, paper works! To reach your target, follow the steps below. 2. Describe your hand outs. 3. Present it to your FS teacher before reproducing it. As you prepare your hand outs, use the activity form below. What topic do I like to work on? For what grade or year level is my hand out? What components do include in my outline? What type of graphic organizers/flow-charts/schemas do I need to use? What references do I use? I will show the students a 1 or 2 minutes video clip that will show the importance of history as to give them the curiosity on the topic is going to be discussed for the day. I’ll be using a PowerPoint, and Short Movie Clip for the students to understand it will about my lesson on that day. It will be presented to them chronological in accordance with the events. What are the good features of a handout? Which of these features are present in the handout I made? Which features are not present in the handout I made? What difficulties, if any, did you encounter in making the handouts? How did you overcome them? The difficult thing that I did encounter in making the handouts was when I was choosing the important facet of the subject matter to be included. It’s not about putting all the information in your hand outs, but putting the words with sense. Too much information could burn out the readers. Doing so might make them think that it is much better to give them a book instead of a handout. What tips can you give teachers regarding preparation of handouts? Making a hand outs is very important in order to give the teachers and the learners a guide that they could follow while the class is ongoing. Making an outline in relation to this will benefit the teacher to follow a certain topic in sequence because without it, a teacher might discuss or present the subject matter in a way that might lead to non- sequential arrangement of the topic that could lead to confusion on the part of the learners. Paste a copy of your hand-out here. A fundamental belief system concerned with the nature of society’s political, social, and economic arrangements and the role of individuals and groups within these arrangements. Rise and Challenge of German industrial and military power. The Existence of secret Alliances. A severe form of authoritarianism and is fairly rare, with the chief examples being Nazi Germany and the Communist Soviet Union. Single Political Party to Implement and Protect Ideology. Centralized Operation of the Economy. A totalitarian structure, but its content in values is entirely different from that of communism. Began with Germany’s and Russia’s attack on Poland in 1939 and ended in 1945 with unconditional surrender of the German and Japanese. Italy switched sides to join the Allied. The Allies fought hard to win because fascism threatened not only the independence of many states but their way of life as well. Soviet Union moved energetically to spread its ideological system to eastern Europe and to East Germany and to lead their own alliance in this region to counter Western Power. The United States and the Soviet Union had a cool relationship long before 1917, when Lenin’s communists took control. The Cold War were created an atmosphere of extreme tension and hostility. A move by either side caused fear and suspicion on the part of the other. Step 1: Observe a class on the regular schedule. Step 2: Note down the various teaching aids that were utilized in the teaching learning process. Step 3: Comment on the appropriateness of the teaching aids to the learning asks. Step 4: Reflect on your learning. As you observe the ckass use the activity forms provided for you to document your observations. Read the following statements carefully before you observe. What visual aids/materials/learning resource is the teacher using? Observe and take notes on how the teacher presents/uses the learning resources. Closely observe the learner’s response to the teacher’s use of the learning resources. Listen to their verbal responses. What do their responses indicate? Do their responses show attentiveness, eagerness and understanding? Focus on their non-verbal responses. Are they learning forward showing their interest on the lesson and the materials? Are they looking towards the direction of the teacher and the materials? Do their actions show attentiveness, eagerness and understanding? 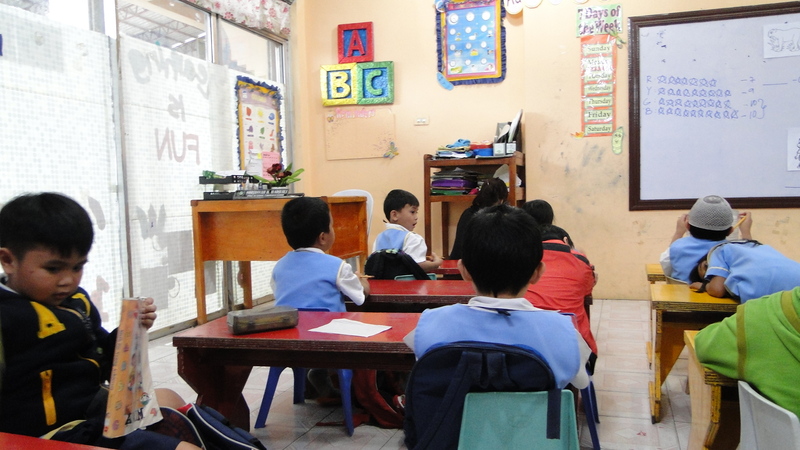 For a couple of Sundays, I and my co-classmates did observed classes from different grade levels. It was kind enough that Ma’am Imelda Mamangconi, the Principal of AKIC-SLS was very accommodating towards our observation at their school. On this regard, I am indeed choosing the preschooler as my area of observation on this episode of FS 3 due to so many reasons. 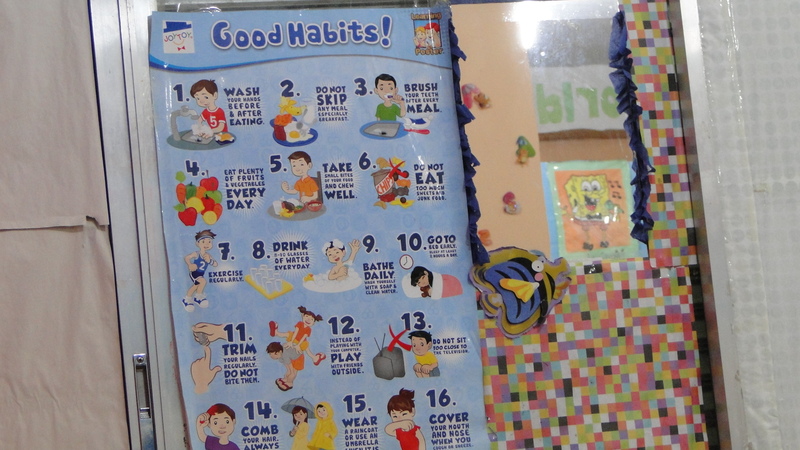 Every classes has their own way of Instructional Materials, and they indeed show a different kinds of IMs, but what I am amazed the most was the preschoolers’ Instructional Materials. They have this colourful class that you can almost see different colour from different areas from their classroom. If I could compare them from the higher level, theirs were the most outstanding than any other. Perhaps, this is due to their standing point as a new learner, which most of what they encounter is very new to them. Preschoolers have the most sensitive senses among the learners, and they still need a lot of things in order to understand some of their environment. In order to introduce this to them, teachers are required to show them what is attracting for the children in a more fun, colourful and innovative way. I’ll be enumerating some of their set Instructional Materials Inside. Let me have first the teacher, for they are a best IM for the learners. The Section that I did go to was under Ms. Norjannah K. Hadji Ali, the coordinator of the preschooler department. The teacher there was then their Arabic teacher. As she started her class, she did give out a loud and clear voice. 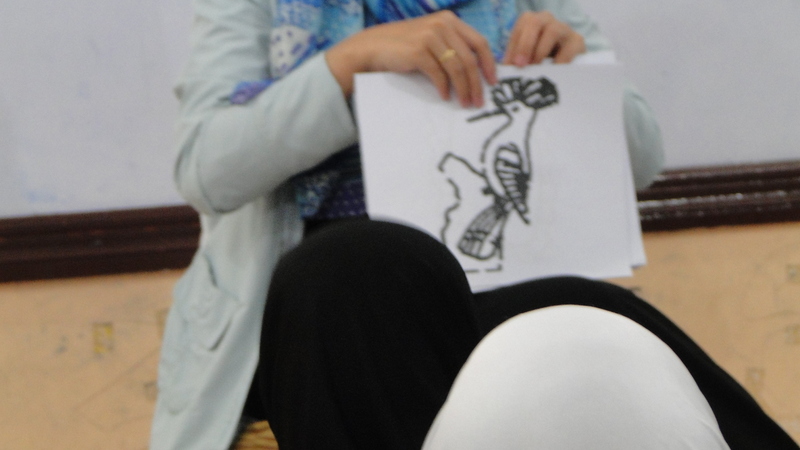 She instructed the students to read the Arabic alphabets. All the preschoolers, obeyed as per instructed by the teacher wilfully, and as I view from the way they read, they seem to really familiarized and memorized almost all the Arabic alphabets. The teacher then gave out an activity that will ensure that the learner get the idea and learned it through instructing them to give an example of every Arabic letter that she would show to them. This answering portion was teamed up by group called: Green, Red, Yellow, and the Blue Team. To give them motivation, the teacher used the star as a way of recognizing their effort. Most of the students were really participating; some of them sometimes over do their action by giving the answer without the teacher’s permission. The way the teacher speaks was really loud and clear, which can be understood by the students well, and her projection was really good. This goes as well to the Assistant Teacher Ms. Rahma Abdullah, who gives out a very interesting friendly aura for the students, and always making herself clear. For those things inside the classroom, they gave out a friendly environment for the kids. The set instructional materials were very clear and colourful for the preschoolers to be more interested. There is that certain part in their classroom, where plastic boxes were in shelves. We indeed ask about this to a certain teacher about those and she mentioned that those boxes were children extra shirts and materials just in case they get their self dirty along their school days. These materials were already instructed to the parents to buy those things for their kids for the whole school year. Beside this boxes were a table containing some colour cups for the kids. These IMs were being used for the specific kids who like to have a different snack during their recess time. During that period, the school is providing some snacks for the kids. However, there are those kids who are very picky in relation to what they eat, so this idea were being made up in order to cater the other needs of the kids. After these IMs, one single computer was being set up at the back. This is used by the teacher in making their examination for the kids. All the preschoolers’ teachers were welcome to use this computer for school purposes. There are three tables that you can observe from this room. Two tables located at back and one table at the front. The said table located in front was table of the preschool coordinators Ms. Norjannah, and the remaining two were for the assistant teacher and a teacher. 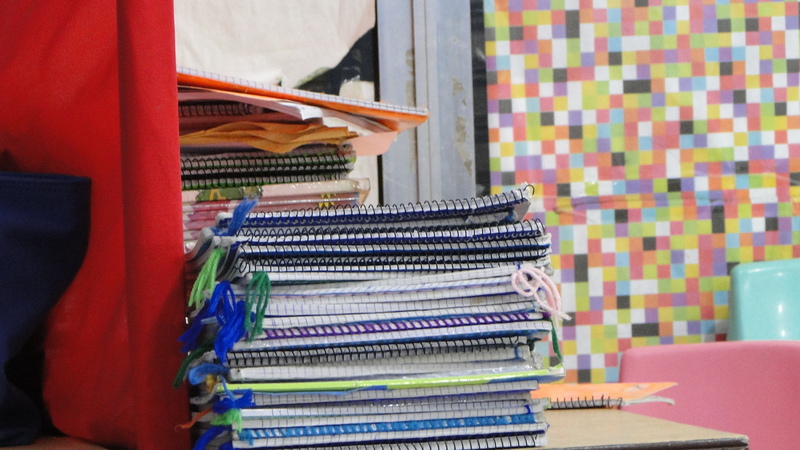 Next Instructional Materials to be mentioned were their activity notebooks and books. There activity notebooks can be seen in one area of the room, and this is located at the back. It can be noticed in their two coloured kinds of notebooks for every kid, an orange and the red one. Their activities books were being separated and placed in front, near the table of the teacher coordinator. The colour chart and letters were everywhere. They were being made creatively by the teacher for the kids to be motivated. The whole room were well ventilated and it was a light paint colour was being used inside the said classroom. The other IM’s that it could include in this are the table which consist of 16 tables and each table were occupied by two preschoolers. Shoe rock was also available in the said classroom. The school didn’t meet with the standard form of a classroom since they have this one single door for exit and entrance area. The black board was not your typical board for a starter, but a white board. Comments on Appropriateness of the Teaching Aids used. 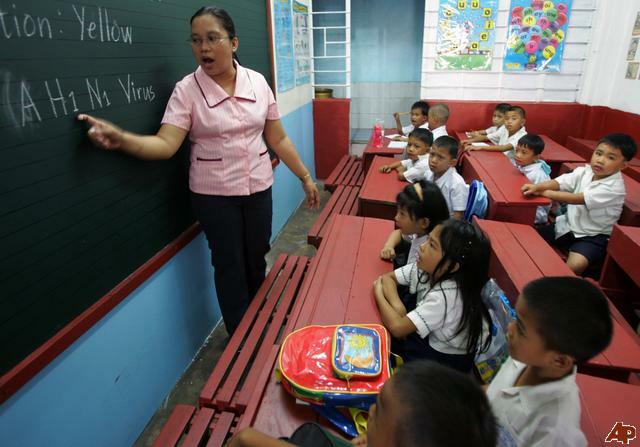 They are well groomed, and they use a more friendly approach when they teach kids. Teaching would not be effective when they aren’t sensitive. I guess some teacher should learn how to be friendlier to the kids and be more compassionate to them. This can teach the kids how to be more organized. Can be a destructing when it is placed inside the room. I suggest this should be placed outside the school room. It can be an additional learning for the curiosity of the kids. Lack of organization. Chart should be well organized in a manner that the kids would get their attention. It helps for the familiarization skills of the kids in relation to alphabets Can’t see its weakness. Visibly clear for the kids to see in a far distance. This helps the kid’s examination to be readable through the use of its font, and can be used in preparing things for the kids. The computer they have should be placed in a safer area. It would be nice if the computer can also use a decoration that could blend in with the atmosphere in class. This gives a proper place for the teacher to work on their needs for their kids. Too much things on top of the table. The teacher is a model. Somehow, he/she has an obligation to clean her table up as a proper way of showing the kids of being an organized adult. This helps the kids to collect their portfolio in a more colourful way. Can’t see any weakness Their IMS in this was good since it helps the kids to recognize their needed activities for that certain issue. Same with the Notebooks. This helps the kids to get the answer in a more clear view. Can’t see any weakness. This book should place together with the notebook in one place. It helps to keep the cleanliness of a child. The box should always be monitored for lacking materials. 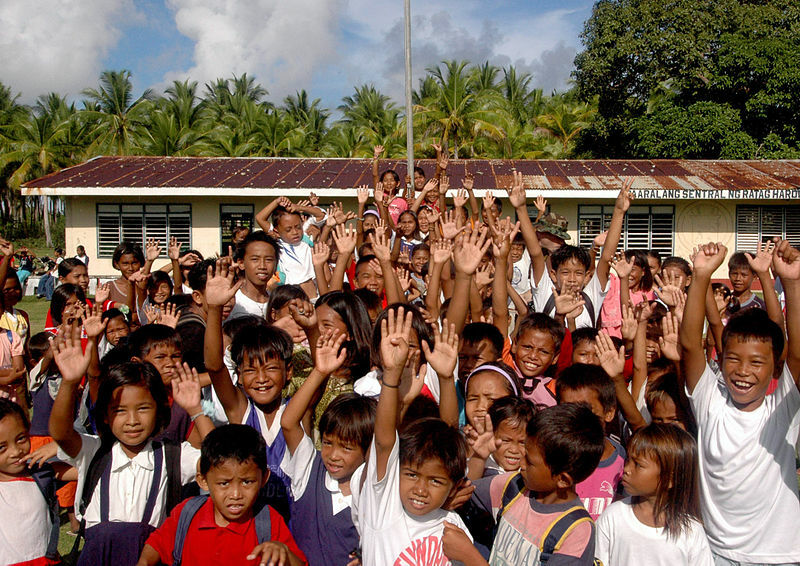 The school gave out a good idea in addressing the individual needs of the kids. It caters the other needs of the kids when recess takes over. The cups should be covered. Kids should be protected even in those things they are using. The school gave out an alternative supplies for the kids’ needs. Easier for the educator to teach the kids using them. It is kind of advance. Not be fitting for the preschoolers. The IM’s for the kids could be great if they use a board with lines. Gives an attraction for the kids. Too many colours It would be nice if they used a fixed colour. It is well light up. Can’t see any weakness. For the reason that they are much closed door. They need to avail an extra light in case of brownout while the lesson is in session. What do you think prompted the teacher to choose the material/learning resources that she/he used? In view of the fact that the teachers were dealing kids, I guess they prompted their self to use a more creative way of making their class room colourful and full of different kinds of learning chart. This is in consideration that kids love brighter things that their eyes can set on. Teachers were also being innovative in thinking other alternatives that could possibly cater the other kids’ needs on hand. The assistant once told me a certain difficulties that preschool teachers can encounter and one of this is when the kids started their first day of classes. At first, they were very vulnerable, some of them would run to their parents nor would cry because of some unfamiliar faces that surrounds them. This gives a hard time for the teachers, and they are complied to sort this out through thinking how to get that fear from the kids of going out and go to school. Furthermore, when the kids goes to school some of them don’t have any idea of doing a certain basic action like how to toothbrush their teeth, what to do when they are at the comfort and so many things. This leads for the teacher to nurse them, and teach them the appropriate action that needs to be done on that certain deed. Over-all, were the learning resources/materials used effectively? Why? Why not? Yes, I could say they are effective. 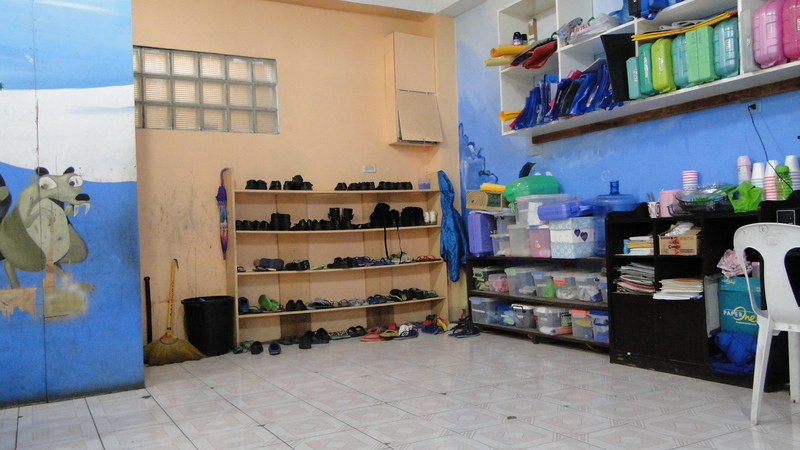 The way I did observed the kids were very lively at their room. In relation to their portfolios and their needs, they know what to use and where to get it. Based on their Arabic lesson that day, they seem to understand and familiarize will enough about their Arabic lesson. They are very enthusiastically giving out a chorus answer which I could determine it as a sign of learned lesson on their part. They seem to be diligent enough about the things that surround them. 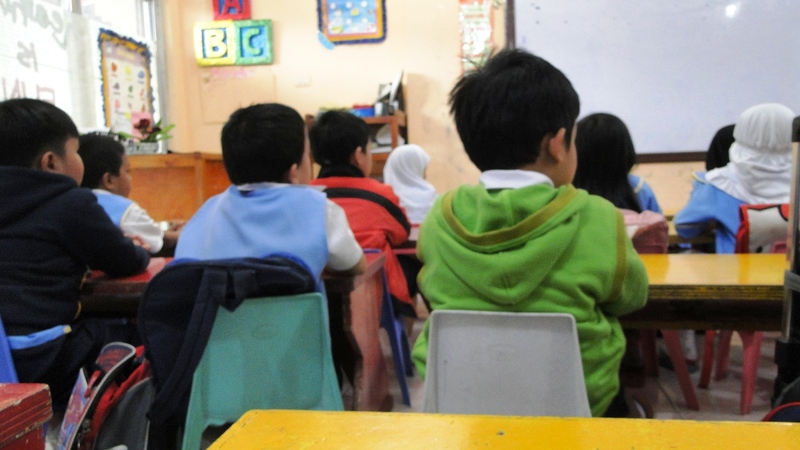 In their Math lesson, the kids even has the ability to recognize months, and days during their lecture, and this might be thanks to their IMs of months and days that were being displayed in front of them. I wouldn’t say it isn’t effective since it is far more obvious the way the children lively cooperating with their teachers. The educator themselves really do know how to handle them, and even give some thoughts about giving them an extra tender, loving, care for the kids. Put yourself in the place of the teacher. What you do similarly and what would you do differently if you would teach the same lesson to the same group of students? Why? I would probably do the same like teaching them the appropriate manner of doing things, teach them with loud and clear voice, and be friendlier with them. I do also need to stabilize balance instructional materials inside the classroom. Nevertheless, I will probably need to address more activities that would highly need participation from everyone in the classroom. When I was a student, I was the silent type, but as the time goes on I do realize that guts or self confidence is the most important aspect in one’s career and this thing is something that I want to cultivate from the students to be enhanced. In addition for the preschooler, if there will be a waiting time for them, I would highly recommend telling them stories as to use the time of their waiting into developing their creativity or should we easy imaginary skills at the young age. Include here pictures/Illustration of the materials used by the teacher. Put your comments/annotation about that you observed. The following pictures are the things being set up or used by the preschooler teacher as materials inside their classroom. Using a white board inside the classroom can be treated as a good way of using it as an instructional material since it is easy, clear and not messy kind thing to use. However, the only defect in this regard is that preschooler are a beginner, I guess it would be appropriate to introduce the basic, a blackboard with line. This would give them the idea about the importance of writing in an appropriate manner through making it up straight which they can reflect it on their pads. Using imagery in learning as your instructional material is a best way to teach kids because, they like images. This kind of IM would exceed if the instructor put some colours in her output. This is my first time to enter a preschooler classroom, and I could say it is an impressive one since most of the kids’ needs were already being set up in there. This section has a wider room compared to the other section which I guess exceed from the standard room of a certain classroom. 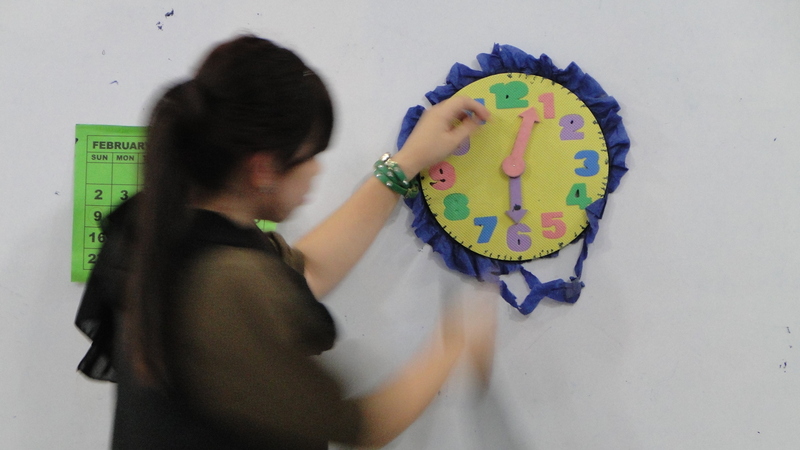 The assistant teacher was using colourful materials as to teach the kids on how to use time and calendar. Activity notebooks that the kids used during their activity at a certain period. These things were located at back of their room. The teacher also considers putting some good material of chart that could teach the kids appropriately in relation to some good habits. 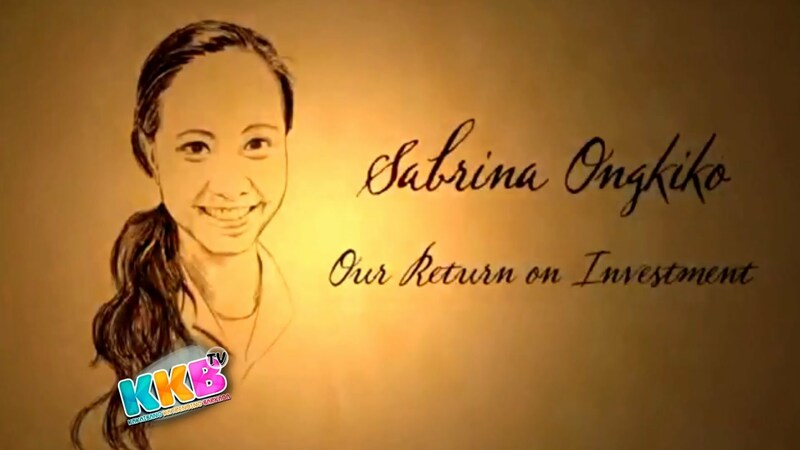 Before reading my article, Kindly visit the speech of Ms. Sabrina Ongkikos’s “Return on Investment” at Youtube.com. I am very sorry If I didn’t included it in here but, soon I will. Thank you. The speech of Ms Sabrina was quite amazing, in a way that you can really feel her enthusiasm in relation to her chosen career. You can feel her from her voice; from the way she poses and delivers her speech is totally admirable. I am not giving her coated words in order to give her some boost of her video, because in reality, it was a good speech that someone could give to her students, to someone’s co-workers, to the place she works at, and to the people from her surroundings. Looking from her get up on that day in her speech shows how proud she is to be a public teacher. In her first speech, she didn’t articulate there how students should be thankful to his/her teachers due to the effort they are doing, but NO, she didn’t articulate that, but instead she made it in an another way around. She did thank her students; because of them she did learn something. Though I am not a practicing right now, but I guess, what Ms. Sabrina wanted to convey was that, teachers also learn from their students. The learning in class is a vice versa way of teaching one another, and that’s what I picked up from her speech. Of course, I’ve become a student as well, but I didn’t realize this part; that a teacher can also learn from us. Ms Sabrina’s students must be proud, and surely when they heard this message from her, I’m sure it will inspire them more. The motivation that I sense from her speech is very strong, but the motivation is not something you could easily see in public teachers now a day, and how they viewed the public schools. To be frank, I did imagine how public schools to be a place of no learner, a place were giving education was weak, but she did change my views on this part. It is a good thing that someone in the field of education is making this kind of realization, because most of the people really view public school as a failure place of learning. She did show a positive feedback on this part, which gives you a good impression on this school that was being put down by the people all around. As a herald of good will, Ms. Sabrina gave a total good way of perspective, and indeed mentioned that PUBLIC SCHOOL is a PLACE of HOPE. There was that one line where in Ms. Sabrina told to herself that “matigas lang ang ulo ko”. She mentioned this when she was trying to point out how other people judge her, by her choice of career despite of her qualification. I guess it’s not her being “matigas ang ulo niya” of choosing this career, but it is her calling, as well as motivation in delivering to those people who didn’t believe in the public schools as a place of learning. Anyone who will hear this kind of speech will surely change his/her views 180 degrees about public school from poor to outstanding. She will not only inspire the students, the practitioner, the people but also the teachers to be inspired from their profession. Return on Investment, she is not pointing out about money in here. But what she was trying to convey in here is that, this return on investment was something to do about the inspiration that a teacher could give to her students, and that feeling of fulfilment by the teachers, seeing their former students getting their dreams into reality. The effort that the teachers were trying to instil to their student in their every day teaching is some sort of kindness on their part. They teach, we learn, and we apply. Upon that application, is a way of reaching one’s dream. A feeling of fulfilment for that certain student is being felt by the teachers who’ve happens to be a part of their success, and that is something of an investment from a teacher to their students. Appreciation, this is something that I can identify the last part of her speech. Appreciation in the sense that, she did mentioned some teachers who should be given the worth of mention due to their passion in teaching their kids despite of all the obstacles and those uncomfortable situation in a class. I am sure that she also pointing out that teacher in the public schools should be appreciated of what they are giving to their students to make the most of them better, and not seeing them as the opposite way around.